Mini Tree Outdoor lamp and large Tree Outdoor lamp from Vibia are designed by Pete Sans and is perfect for elegant backyard decorating. 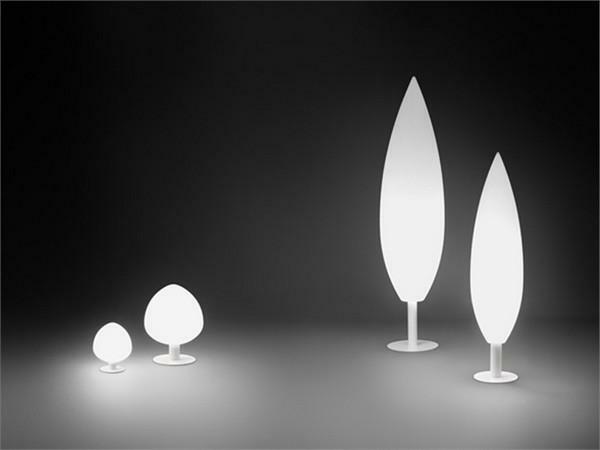 Large Tree lamp from Vibia plays with the forms of trees, attractively blending in with the garden. Gorgeous Tree outdoor lights features slim lines, inspired by nature, and create fabulous contrasts with the materials. These outdoor lights are the harmonious blend of two worlds: the organic and the industrial. Placed beside bushes, trees and hedges, the Tree lamp gives an amusing nod to the spectator, fascinating with white and dark color contrasts and shades. Beautiful outdoor lights are great for outdoor decorating, symbolizing the union of two universes that appear at first glance to be distant and antagonistic. 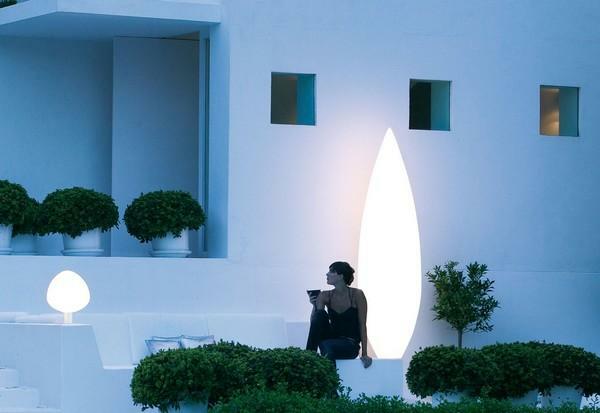 Unique outdoor lights by Pete Sans are a step forward in the area of outdoor lighting design, with a modern shape adapted to suit the latest home decorating trends. 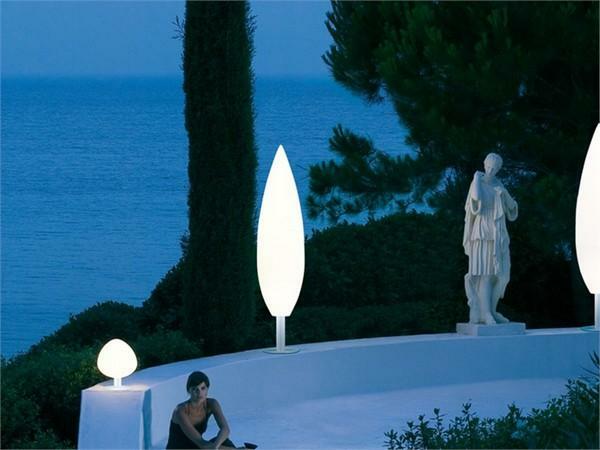 These outdoor lamps come in four sizes: 2.6m, 1.84m, 64cm and 40cm. Its organic shape and sizes make these wonderful outdoor lights especially suited to marking a path in the garden or highlighting the entry to the house. The Mini Tree lamps are ideal for decks and porches, and even for use on outdoor tables. The sets of three lamps allow to add interesting combinations to outdoor decor in eco style. These outdoor lights add dimension to your backyard ideas and make summer decorating look bright, cheerful and sophisticated. Large and Mini Tree outdoor lamps treat the eye to exciting visual depth, bringing soft white color into your backyard design and offering a clear definition of contemporary style. The Tree outdoor lamps feature white lacquer polyethylene shades, which are easy to clean, and make wonderful porch or deck, front yard or garden decorations that can be used even in wet locations.